Brothers Sam and Josh Smestad are big reasons why Warriors are in the hunt for crown. PALMYRA — Like many siblings, the Smestad brothers — Josh and Sam — are rivals yet quick to give credit when and where it’s due. Josh, a senior, is recognized as the better overall athlete, especially when it comes to basketball and baseball. But Sam, a junior, owns the golf course. And he knows it. “I think (Josh) knows his place,” Sam said before the two broke out into laughter. 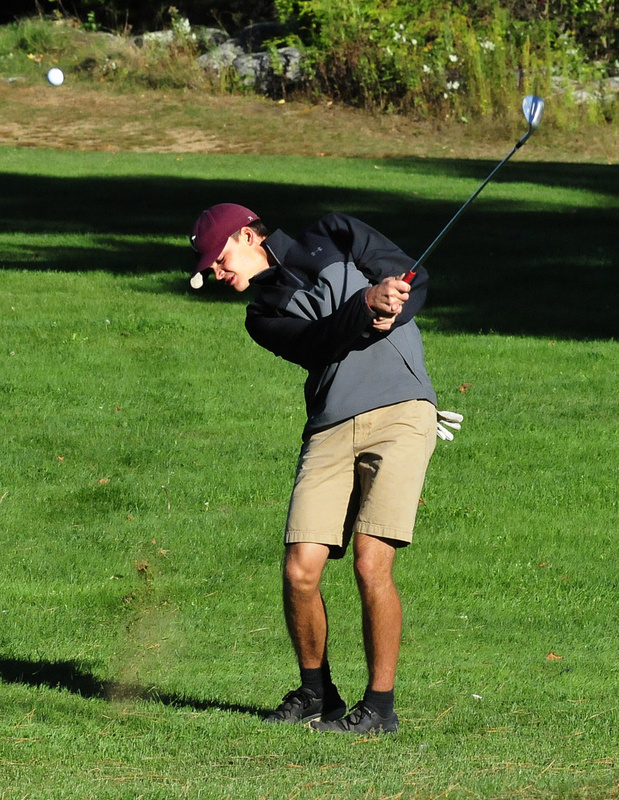 But when you combine the brothers together on the course — along with the play of senior Zach Hartsgrove and freshman up-and-comer Lindsay Cote — you have the core of the Nokomis golf team, a group that has enjoyed an 11-0 regular season and will play for a Class B state championships for the first time since 1999. 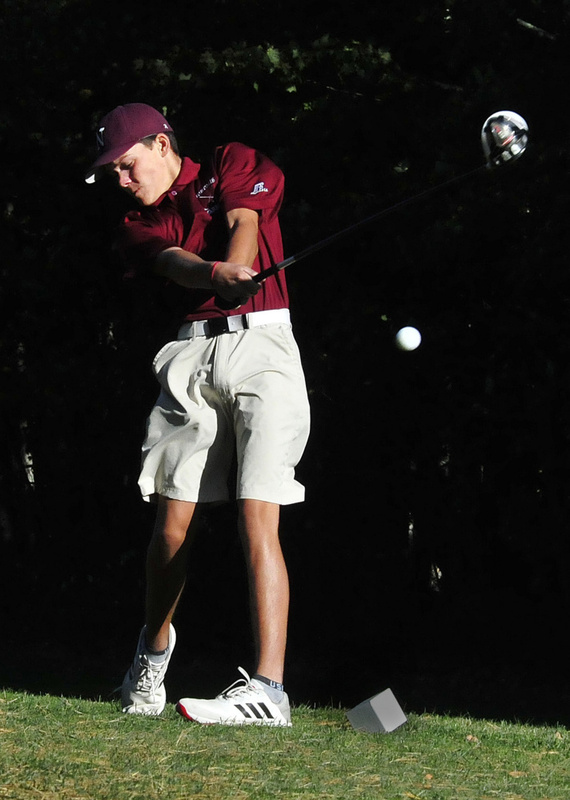 Natanis Golf Course in Vassalboro will host the team state championships Saturday. The season hasn’t surprised the Smestads, or any of the Warrior golfers for that matter. The Warriors qualified for states by finishing second at the Kennebec Valley Athletic Conference Class B qualifier at Natanis on Sept. 26. Nokomis tied with Gardiner with 335 points for second place behind Erskine, which had 327 points. Part of Nokomis’ success has come from a rivalry between all the golfers. 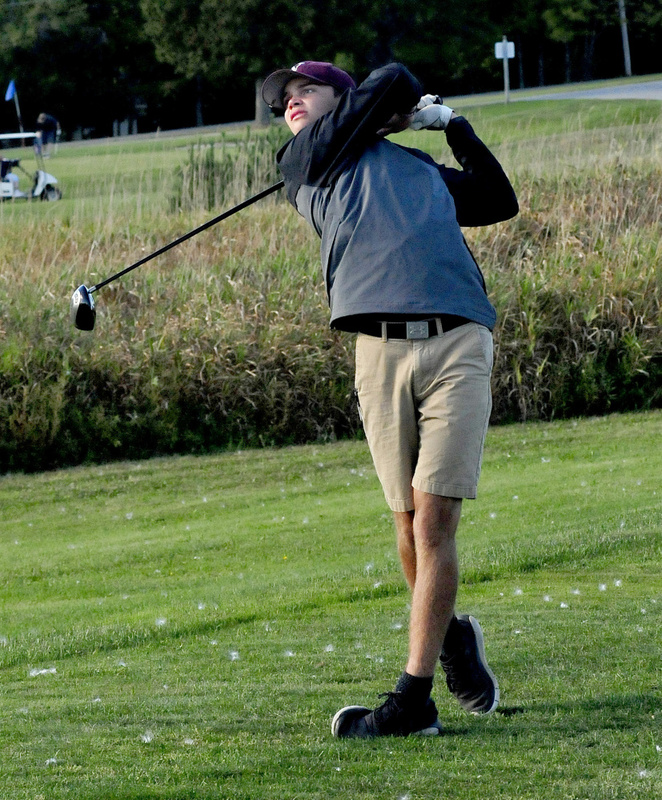 Sam Smestad also qualified for the individual state championships on Oct. 14, as he shot a 75 at the qualifier. He shared the top spot in KVAC B with Waterville’s Cody Pellerin. Hartsgrove — who shot a 79 — also qualified, while Cote — shooting a 94 — qualified for individual girls state championships. Sam Smestad may be the better golfer in the family, but Josh is trying to close the gap. Sam and Josh are just two of six kids in the Smestad family, including five boys, with ages ranging from 12 to 24. While the brothers are together on the golf course, their days contrast a bit — Sam is part a co-operative home-schooled group. The small class, Sam said, takes a couple of trips per year, including one out of the country. Josh Smestad — who was home-schooled until ninth grade — recalls trips to Colorado and Haiti, among others, before attending Nokomis. And he’s tried to recruit Sam in the process. For now, the Smestads join together one more time, hoping to lead the Warriors to a state title.